Discover out-of-the-way places like Valley of the Winds and Wintjiri Arts + Museum. Let the collections at Uluru-Kata Tjuta Cultural Centre and Walkatjara Art capture your imagination. Explore Yulara's surroundings by going to Uluru-Kata Tjuta National Park (Walpa Gorge & Kata Tjuta). There's much more to do: take in the dramatic natural features at Uluru, look for all kinds of wild species at Red Desert Reptiles, take in the pleasant sights at Lungkata Walk, and tour the pleasant surroundings at Uluru Hiking Path. For traveler tips, maps, other places to visit, and more tourist information, go to the Yulara trip itinerary planning site . Cardiff, UK to Yulara is an approximately 36-hour flight. You'll lose 9 hours traveling from Cardiff to Yulara due to the time zone difference. Expect warmer temperatures when traveling from Cardiff in March; daily highs in Yulara reach 41°C and lows reach 24°C. Wrap up your sightseeing on the 25th (Wed) to allow time to travel to Melbourne. You'll explore and learn at Shrine of Remembrance and Phillip Island Grand Prix Circuit. Visit Eastern Beach Reserve and McCrae Beach for some beach relaxation. Explore Melbourne's surroundings by going to Main Ridge Estate (in Red Hill), Phillip Island Wildlife Park (in Cowes) and Ballarat (Art Gallery of Ballarat & Lake Wendouree). And it doesn't end there: examine the collection at Melbourne Museum, take in nature's colorful creations at Royal Botanic Gardens, take in the spiritual surroundings of St Paul's Cathedral, and meet the residents at Melbourne Zoo. To see maps, more things to do, photos, and other tourist information, read our Melbourne online driving holiday planner . Traveling by flight from Yulara to Melbourne takes 4.5 hours. Alternatively, you can drive. In March, Melbourne is slightly colder than Yulara - with highs of 30°C and lows of 15°C. Wrap up your sightseeing on the 31st (Tue) to allow time to travel to Sydney. 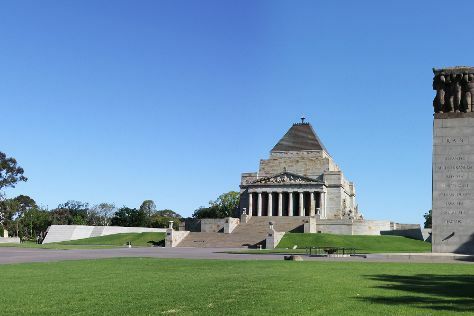 Popular historic sites such as The Rocks and Nan Tien Temple are in your itinerary. Eschew the tourist crowds and head to Bradman Museum & International Cricket Hall of Fame and Shelly Beach. Explore the numerous day-trip ideas around Sydney: Katoomba (Wentworth Falls & Canyoning & Rappelling Tours), Southern Highlands Welcome Centre (in Mittagong) and Historical Aircraft Restoration Society (in Albion Park Rail). 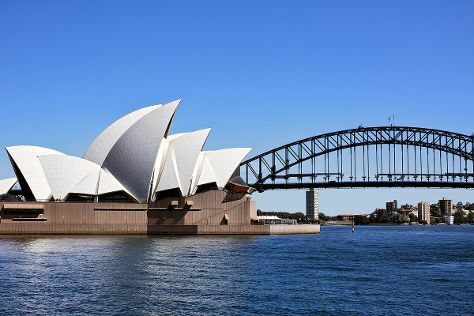 There's still lots to do: enjoy the sand and surf at Bondi Beach, take in nature's colorful creations at Royal Botanic Garden Sydney, snap pictures at Sydney Harbour Bridge, and catch a live performance at Sydney Opera House. To see other places to visit, photos, and other tourist information, read Sydney trip itinerary website . Traveling by flight from Melbourne to Sydney takes 3.5 hours. Alternatively, you can do a combination of shuttle and flight; or drive. Traveling from Melbourne in March, you can expect nighttime temperatures to be a bit warmer in Sydney, with lows of 22°C. Wrap up your sightseeing on the 7th (Tue) to allow time to travel back home.